Today is the release of new stamp sets from "A Creative Journey with Melissa". Aren't they nice? The pumpkins are great to stamp. The stamp set also comes with eyes, noses and lips so that you can decorate your pumpkin any way you want! I am not a Halloween person, so I wasn't sure what to do. I sketched out my cards and then added the rest. 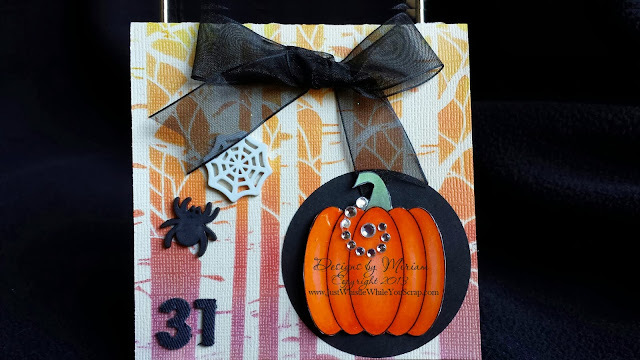 My "31" card's background is a stencil shaded with Pan Pastels. The pumpkin was set on a 21/2" round punch, filled in with Glossy Accents after coloring it with Copics. The other miscellaneous decorations were things I already had. The background cardstock is beige and textured. My second card is "blingy". I detailed the pumpkins with glitter glue and Glossy Accents. The cat and letters were also filled in with Glossy Accents. 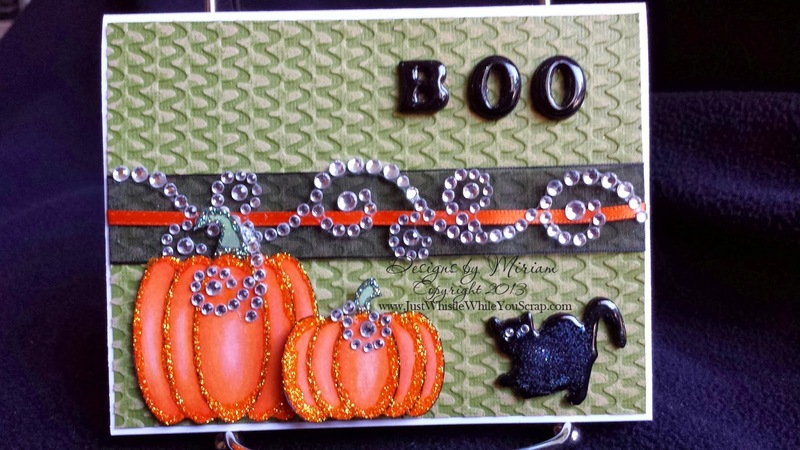 The cardstock was embossed then distressed to reveal the bottom color.The bling, ribbon cat and "Boo" were also things I had in my scrap room and they were begging to be used. I hope you enjoy these cards as much as I enjoyed making them. Go check out the rest of the Design Team!